I'm not a massive T20 fan but I do enjoy the WC. Yeah Broad is one of those bowlers who when he's on song he's pretty much unstoppable. 3rd highest wicket taker in Tests for England now behind Beefy and Jimmy. Broad has come such a long way since his early days. I still remember him being smashed for 6 sixes in an over by Yuvraj back in 2007. Never would I have imagined him being the no.1 bowler in the world in the near future. Dude deserves all the credit for his hard work. ^Disgraceful finish to what was a brilliant match. The bat was on the line when the bails came off; should have got the benefit of the doubt. Not sure what the third umpire was thinking. Zimbabwe, chasing 180+ against Afghanistan yesterday showed absolutely no intent what so ever during their run chase. So frustrating to watch. Afghanistan are a really good team, miles ahead of us. If I had to pick a winner it would be India. They're very hard to beat in their own backyard. Has anyone else been watching the qualifying round? Man, that was one hell of a match. Can't beat the Kohli spirit. f*ck yea! Kohli is a phenomenal player. He's the only one capable of filling Tendulkar's shoes. But the rest of the players need to step the f*ck up, especially Sharma, Dhawan and Raina. Yuvraj showed heart by continuing to play on despite the pain and that must have stirred Kohli further. You can't. I repeat, you can't. I AM A BIG CRICKET FAN!!!! So, what was the interesting match you ever seen in T20 WC 2016, Mine was IND vs BAN, in which India won by 1 run! Yup, that India-Bangladesh match was one nail-biting match too, especially the last ball where Dhoni beat Rahman in the sprint race towards the stumps. And I remember a match between India vs Pakistan! India's target was 119 runs. India lost 3 wickets below 50 score. Suresh Raina Goes for a Duck. Then the Kohli and Yuvraj's show stars! So, What do you guys think England or West-Indies? I think its gonna be England who will win. 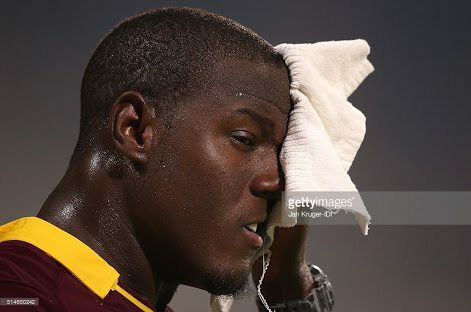 West-Indies might just choke at last.. The hard hitting that took place yesterday makes me think West Indies can rock England's world as well. It's difficult to tell who will win. Depends on the conditions at Eden Gardens. If there's going to be as much dew in the air as at Wankhede, then the team winning the toss will win half the match by electing to field. That's been the general pattern in this tournament. The chasing team has a huge chance of winning. And of course, not bowling no-balls will also help. भारतीय बोलरों की टाँग एक बिलांग छोटी कर दो! I knew West-Indies could do it. Coooooooongraaaaaaaaats!! to both woman and men's team. Those last four sixes were mighty ones. Now they can do some Gagnam style. ..while he rained on England's parade. Barbadians definitely got some Caribbean black magic going for them. Great inning by Samuels, a well deserved win and a great show! This new IPL tv overlay is f*cking horrible. Same thoughts here, completely agree. No music in the initial phase is turning out to be a little boring. I was a supporter of CSK when it existed. Don't like the new Pune team--> Too many cooks spoil the broth. Has anyone been watching the tri series in the Caribbean? Both opening games have been low scoring affairs but I actually prefer these type of contests, they're more interesting to watch when the bowlers have an advantage over the batting team. Narine is a joy to watch on pitches like the Guyana one. Do u all know who is M.S Dhoni? If u,Then i am sure u like him. I know who he is but he isn't one of my favourite players. I respect what he has done in the game though. He always run half century if he start to play in field.I like his six and fours,Especially batting style.Well,Who is ur favourite player. Well,Who is ur favourite player. I have a soft spot for Brendan Taylor. Gutted he's no longer playing for Zim. West Indes players are strong than Zimbabwe,Right?